This shot was taken in 1969 on the bend where Pepper Street curves round to become Webbs Lane. The brick wall on the extreme left might still exist, but I'm not sure. Behind it is a row of cottages which do still exist and are now all that remains of Pepper Street. To the right of the wall can be seen a small section of Seddon's Pepper Street Works, which closed a couple of years earlier but were still largely intact at this time. The entrance to The Moorings is approximately in this position today. 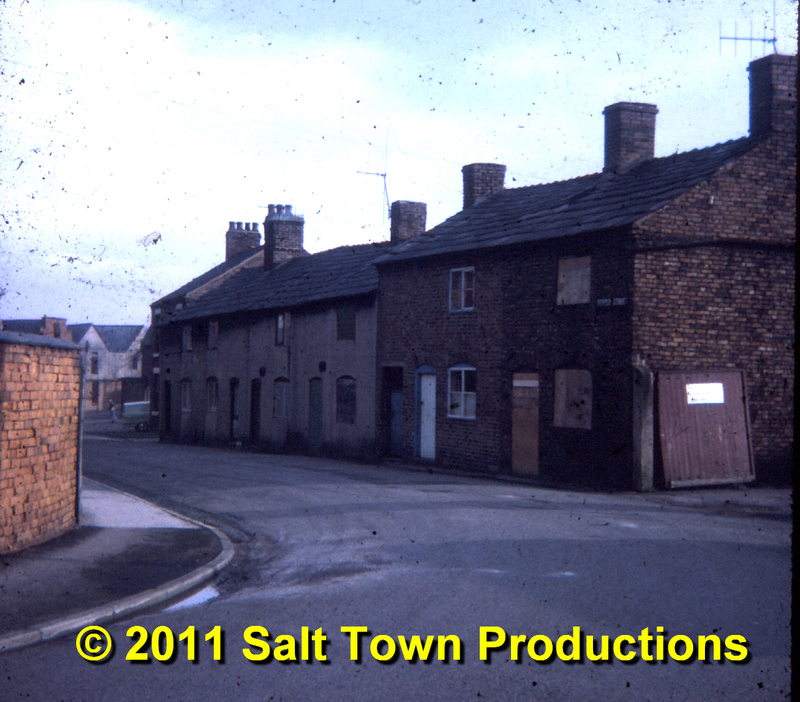 The row of salt workers' cottages shown here were demolished when St Michael's Way was built, and they were replaced by the grass verge which now divides Pepper Street from the dual carriageway. Out of shot to the right was the telephone exchange in its own compound and set a long way back from the road, reflected by the fact that it is now marooned on the opposite side of St Michael's Way. It has also been greatly enlarged and festooned with aerials. Dave Roberts Ah Sherry, I fear that you are once again facing in the wrong direction. See my comment on your Google Earth pic. All good fun, though, innit? Dave Roberts Aha! Hold the front page! I see where a bit of the confusion may have come from. What I describe as a 'row of cottages' (out of sight behind that brick wall and still there today) would more accurately be described as a 'row of houses', and it is one of these to which Sherry refers. Stick with us folks, plenty more photos to come, along, I'm sure, with plenty more confusion. Dave Roberts After a personal recce, we can confirm that the little bit of wall on the left must have bitten the dust years ago. 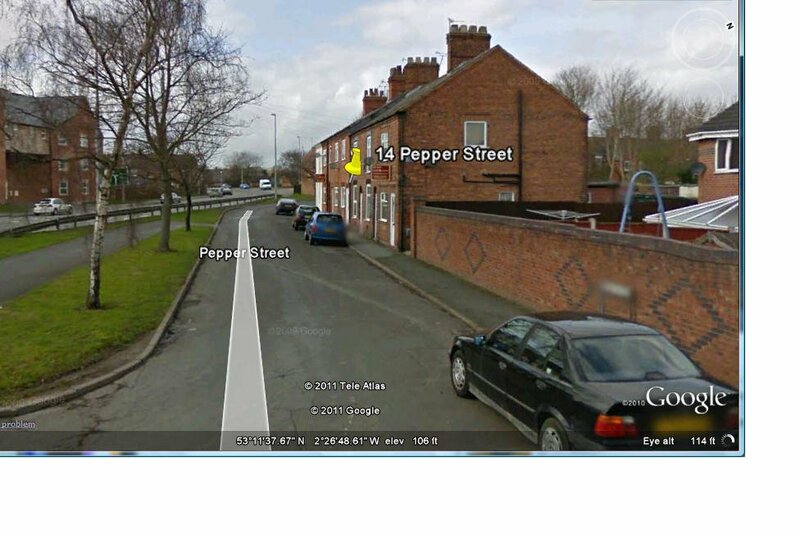 The photo above was added by Sherry Hill Smith who lived for a time in Pepper Street - ed. Dave Roberts Oh dear. I do believe you've done it again. My 1969 picture was taken from the other end of Pepper Street and facing in the other direction(i.e towards the town centre). The cottages in my picture were where the grass verge is on the left of your picture. Sherry Hill-Smith Jeeez - should I just give up Dave? Dave Roberts No! your comments and enthusiasm are very much appreciated. And, as we've seen, it only takes a bit of explanation to put things right. So don't go beating yourself up, it's all just good fun. Very interesting,too.